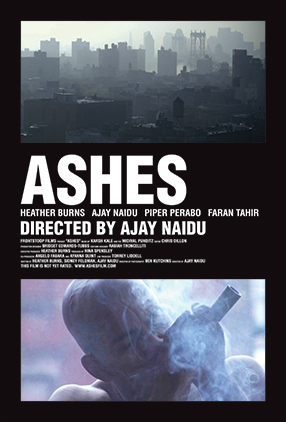 Ashes, short for Ashish, (Ajay Naidu) is a small-time New York City pot dealer. He is also the primary caregiver for his mentally ill older brother Kartik (Faran Tahir). Ashes is the courageous and gritty directorial debut from actor Ajay Naidu. 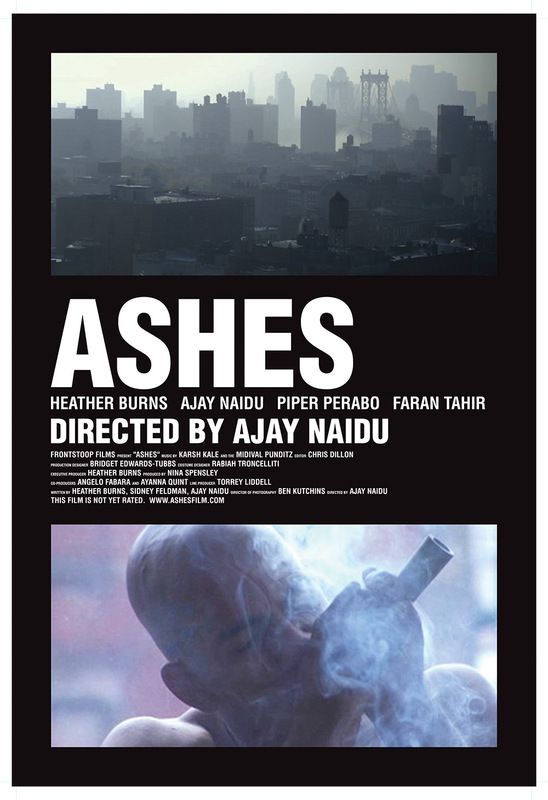 Shot entirely on location in New York, Naidu’s assured direction and murky palette convey the realism of Ashes’ world. Caught between familial duties and a losing battle to maintain a sense of morals while dealing marijuana, Ashes environment begins to close in on him. Kartik returns home from a mental health facility, eager to begin a productive life. With a sometimes tenuous grasp on reality, he holds dearly onto his brother and his girlfriend, Bettina (Piper Perabo). Bettina is a fellow patient from the facility and begins growing distant, increasing Kartik’s stress level. Ashes watches helplessly as his brother fights and suffers in anguish. Kartik’s battle for sanity is paralleled with Ashes’ struggle with the drug dealing community that surrounds him. Determined not to deal “hard stuff” Ashes, nonetheless is drawn deeper and deeper into a violent and corrupt world. The world includes Jasmine (Heather Burns) one drug dealer’s (Pinky as portrayed by Firdous Bamji) girlfriend who is part of a dangerous entanglement with another player in the hustling game, Rishi (Samrat Chakrabarti). His troubles mount as he finds himself in over his head and up to his neck in a heroin operation. There appears to be almost no reprieve from the grime and danger of the New York that Ashes and Kartik inhabit. Their only solace comes in their brotherhood. Listen closely for a razor sharp score that sets the tone in frequently unexpected manner. Ashes is a serious and soulful debut from a serious up and coming director. With Ashes, Naidu has shown that he is a singular force to be reckoned with.